Kentucky Mountain Housing Development Corporation, Inc.
Kentucky Mountain Housing Development Corporation, Inc. is a church related, nonprofit corporation whose mission is to provide safe, decent and affordable housing for low- and very low-income famillies in Southeastern Kentucky. 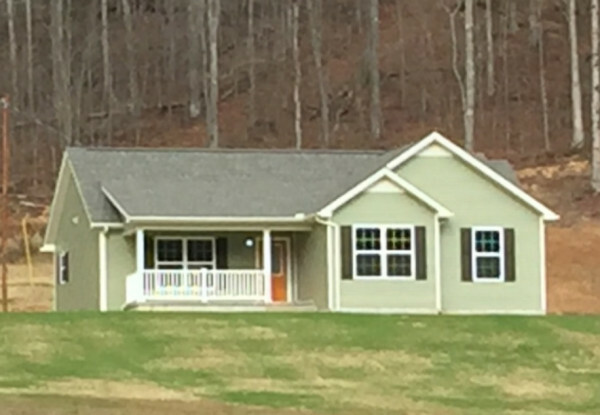 In fulfillment of its mission, Kentucky Mountain Housing raises money to build new homes and repair substandard housing by providing grants and loans to low- and very low-income families with a house they can afford. We own and manage our own loan fund and promote economic development through our housing production activities. Kentucky Mountain Housing Development Corporation, Inc. (KMHDC) is a 501(c)(3) non-profit organization committed to providing affordable housing opportunities to low-income families. Our organization serves Clay, Jackson and Owsley counties, as well as the Red Bird area of Bell and Leslie counties in Southeastern Kentucky. The counties in this service area, consistently rank among America's poorest and are considered to be among the counties classified, by the Appalachian Regional Commission, as distressed. Since its inception, KMHDC has provided housing opportunities to more than 1,300 low-income households with new construction and home repair services, along with inventory sales and rental services. KMHDC owns and operates its own in-house, revolving Home Loan Fund, which provides low-interest loans for those it provides services to. Since the creation of the Home Loan Fund, our organization has provided more than 1,000 affordable home loans to qualifying applicants! Everyone knows that homeownership, certainly, isn't free and that many people simply can't afford a home of their own without assistance from an organization like Kentucky Mountain Housing. Sharp decreases in the amount of funds available to organizations such as KMHDC, as well as increasing regulations, have made subsidies for housing programs less available than they once were. That's where you can help and be a part of making a lasting difference in the lives of so many others. By partnering with Kentucky Mountain Housing and contributing to our organization, you're helping to make the dream of homeownership a reality. We would like to extend our most sincere thanks to our current partners and donors. Your unfailing support and faith in our mission helps to ensure success in the many promising years ahead!